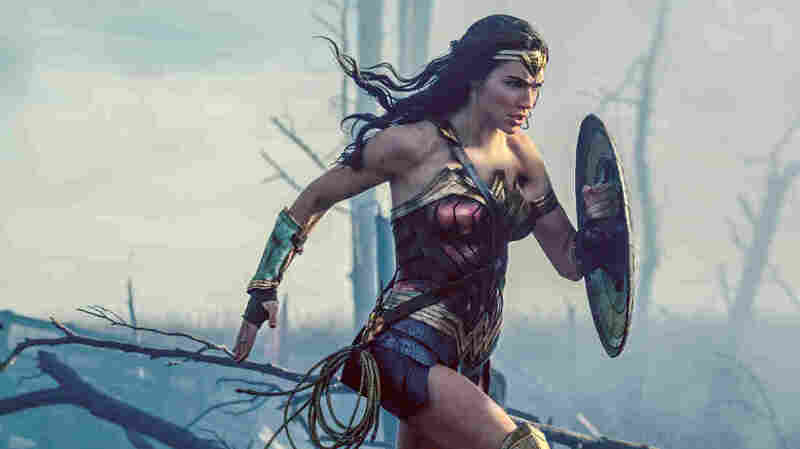 A Worthy Big-Screen Treatment Of A Long-Neglected 'Wonder Woman' Director Patty Jenkins understands the scale of a screen superhero who is a true demigod, not an ordinary millionaire or spider-bite victim. Gal Gadot's physical presence as Wonder Woman was established in Batman v Superman, but in this new film, she handles the Diana Prince side with equal dexterity. Princess Diana of Themyscira was sculpted from clay by her mother, Queen Hippolyta, brought to life by Aphrodite and bequeathed her superhuman powers by the Greek gods. Over the 75 years she has been kept off the big screen, her fitful appearances on the small screen, most notably in the Lynda Carter TV series and on animated shows like Super Friends and Justice League, have made it easy to forget that Wonder Woman is not one of us. She wasn't bitten by a radioactive spider or transformed by some environmental cataclysm and instead was born a demigod, above and apart from the flaws and frailties of humankind. Of the many things the new Wonder Woman gets right, the first and most important is a triumph of scale, of emphasizing the alien immensity of Princess Diana before she mingles with humans and accepts her civilian alter ego, Diana Prince. In that respect, director Patty Jenkins has successfully modeled the classicism of the original 1978 Superman, which also builds up the alien mythos of its hero before Clark Kent turns up in nerd glasses and identifies more closely with the denizens of his adopted planet. It's not unfair to say that Jenkins has gone the conservative route, adopting a risk-averse strategy that is closer to the tightly managed Marvel Cinematic Universe than that of Wonder Woman's DC Comics. With its World War I adventure plot, in fact, Wonder Woman could be tagged a gender-reversed Captain America: The First Avenger. But the conservative choice also happens to be the right one, and the film has the scale and storytelling clarity to sell the mythology and give Princess Diana the stature her many titles suggest. Here, she is a figure of remarkable totemic power. The most critical stretch of the film — and the best — comes at the beginning, when Diana (Gal Gadot) is growing up among the other Amazon women on Themyscira, an island cloaked by an invisible shield to protect its inhabitants from Ares, the god of war. Over the objections of Queen Hippolyta (Connie Nielsen), Diana starts training with her aunt, General Antiope (Robin Wright), for the epic battle they're all certain will eventually reach their shores. For as long as it remains untouched, the island is an appealing feminine utopia of benevolent values and esprit de corps, a powerful contrast to the fractious world outside its magical borders. That innocence is lost when Steve Trevor (Chris Pine), a U.S. fighter pilot, crash-lands on Themyscira and brings the war with him. After she and her fellow warriors fend off Steve's German attackers, Diana takes an interest in him — he is the first man she has ever met, after all — and in the call to end World War I, which she is certain is Ares' handiwork. Packing her bulletproof bracelets, her golden "Lasso of Truth" and a "God-Killer" sword with which to slay Ares, Diana ships off to London with Steve, joining his covert mission to dismantle a weapons program headed by a power-mad general (Danny Huston) and a chemist named Doctor Poison (Elena Anaya). Before sending her off into war, Wonder Woman takes advantage of the fish-out-of-water comedy of Diana leaving her tranquil island paradise for the soot-choked gray of industrialized London, where women don't enjoy the freedoms to which she is accustomed. Gadot's physical presence as Wonder Woman was established in Batman v Superman: Dawn of Justice, but she handles the Diana Prince side with equal dexterity, whether puzzling over the excessive formalities of early 20th century womanhood or trading banter with Steve and his abashed comrades. Diana's near-invulnerability to human dictates gives her the freedom to dismiss their social mores, which can be played as alternately funny and empowering. Wonder Woman loses some of its edge when the uniqueness of her origin story and her acclimation to people and a new environment gives way to more familiar effects-driven conflict. The original comic had Steve and Diana fighting Nazis, and while the shift back to World War I is a sensible choice, given the overwhelming nature of Nazi iconography, it occasionally flattens the film into rote action-adventure. Once the showdown with Ares finally materializes, Jenkins can't solve the common problem that god-versus-god matchups tend to result in two characters tightening their faces and shooting beams of light at each other. Even in its weaker moments, Wonder Woman honors the scale of a superhero who stands alongside Superman and Batman in the DC lexicon but has never had a vehicle worthy of her. Jenkins and Gadot do the hard work of properly establishing her stature on screen for the first time. She can go anywhere from here.